Taylor Kelly will be competing at her first pole competition in Los Angeles at the “2015 Pacific Pole Competition” being held Feb. 28th to Mar. 1st. 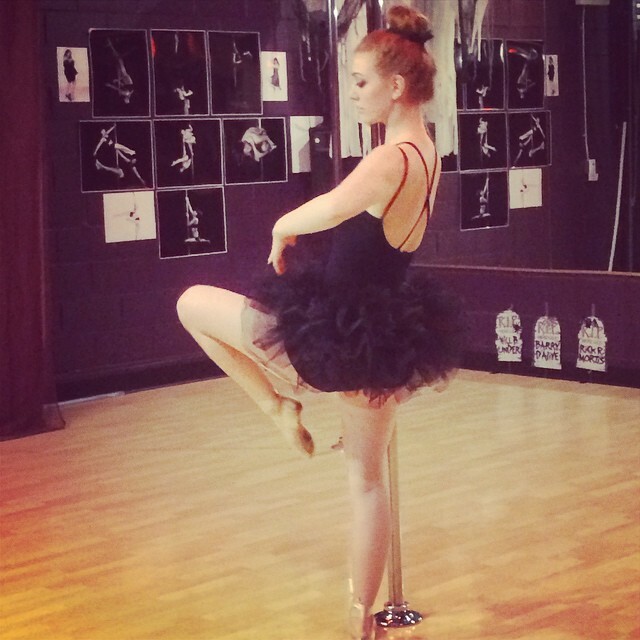 I asked Taylor to share with us why she decided to enter her first pole competition and what motivated her. My Coach Grace Garcia inspired me, and I wanted to compete once in my life before I moved away to college this fall. I will be going into the nursing field. 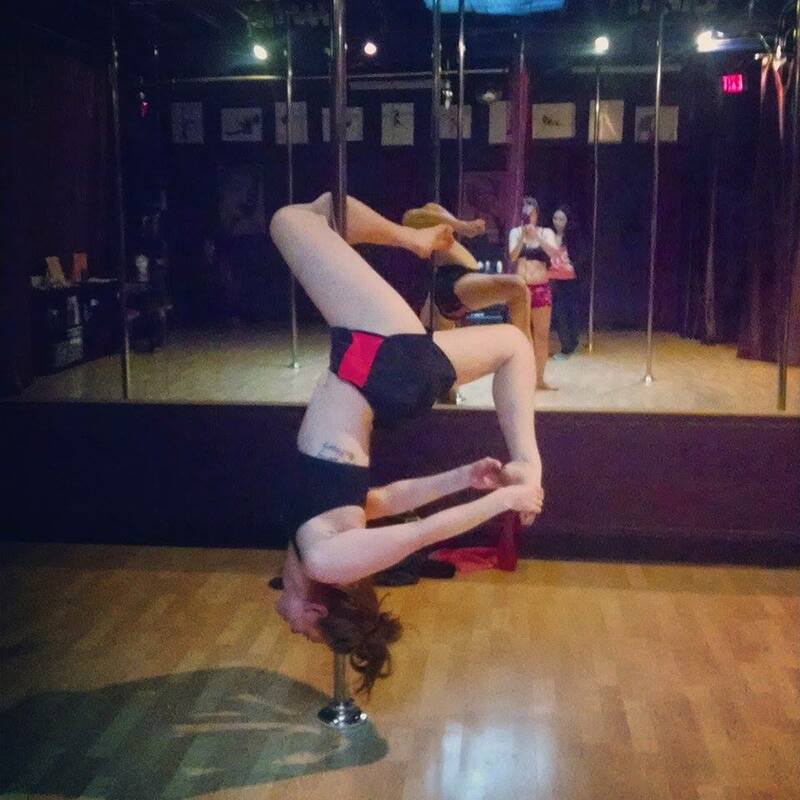 I want to pole dance for as long as I can and continue to compete throughout the years! Maybe even become a teacher someday. My favorite move right now is an outside leg hang, probably because I finally nailed it. My mom is going to LA with me. Artistic Dramatic Juniors Level 1 (Pole): This event is focused less on the difficulty of the tricks executed and more on the dancer’s ability to present a serious, emotional artistic interpretation of a piece of music. Dancers at this level are permitted to engage in floor work, dance, spinning moves, and climbs. There is no inverting at this level and hips must be below the shoulders at all times when the competitor’s entire body is on the pole. Level 1 may use both spinning and static poles, but is not required to use both. 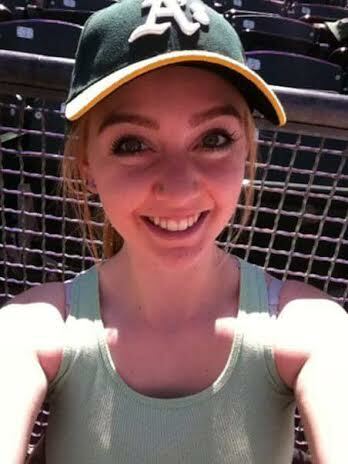 Taylor recently celebrated her 1 year anniversary with Twirly Girls earning her an OTG Shirt (Original Twirly Girls). In just a short year Taylor has performed for several of our studio events. Now, she is ready to take her pole journey to the next step by entering a competition. Her Coach Grace Garcia will also be competing in the Entertainment Level 4 Senior Division. We are all so proud of how far Taylor has traveled in her pole journey in such a short time and we will be there cheering her on! Previous postFebruary 2015 Twirly Boy of the Month: Patrick! Thank you Farrah….wish you could be here to go with us!